March 20, 2013 –BHS Peer Leaders attend Kick Butts Day events at the Massachusetts State House. They met with legislators, including Brookline Rep. Frank I. Smizik, to raise awareness about tobacco use among Brookline youth. Kick Butts Day is an annual national day of activism against Big Tobacco led by teens and facilitated by the Campaign for Tobacco-Free Kids. Why? Because tobacco use is usually established during adolescence. National studies show that the previous decline in teen smoking rates has slowed or halted, reflecting the de-funding of prevention and cessation programs. The BHS Kick Butts events take place during National Public Health Week in April and are supported by the Brookline Department of Public Health. At Brookline High School, Peer Leaders plan and host the event. Students have used face-aging software to see what a long-term smoking habit would do to their looks, tested their lung power, traded cigarettes for candy, created a Memorial Wall recognizing family and friends who have suffered because of tobacco, and dropped in for Kick Butts in the Quad, a workout led by Healthworks instructors. Smokers receive counseling on quitting and other supports. Guerilla polling of students’ attitudes to smoking became the basis of a new social norms campaign stressing that most Brookline students choose not to smoke. More than 70 per cent of students polled said they wouldn’t kiss a smoker. 2014 Students campaigned to classify e-cigarettes as a form of cigarettes, thus restricting sales of the devices from minors in Brookline. October 2014 – Peer Leaders have earned the 2014 Herb Carlin Community Health Award in honor of their work surrounding tobacco prevention. 2012 Students campaigned to raise the minimum tobacco age in Brookline to 19. The Boston Globe carried the story. 2010 Don’t Fade Away, this 30-second video, was made by BHS student Alex Kamb in 2010. 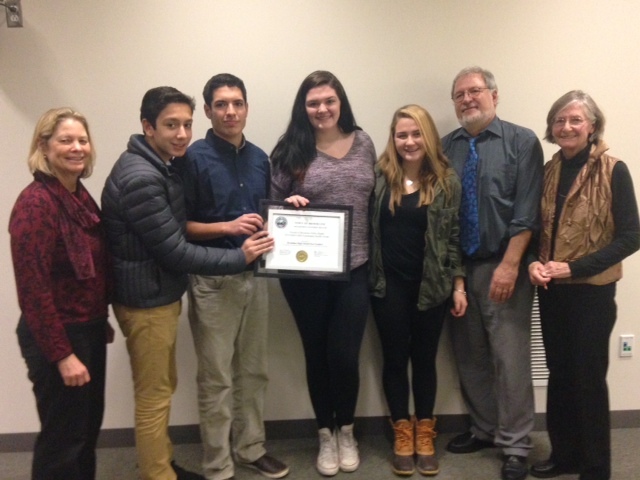 It won an award from The 84, a teen-led Massachusetts anti-tobacco organization named for the 84% of Massachusetts youth who choose not to use tobacco. 2009 Peer Leaders launched BHS Kick Butts, after the school-wide Student Health Survey revealed an association among students smoking cigarettes and using alcohol, marijuana and other drugs. 2009 Peer Leaders successfully advocated for a new smoking policy school-wide, restricting the off-campus zone available to smokers and made smoking impossible for ninth graders. The new policy opened up most of the benches in front of the school to non-smokers and allowed most students access to the main building without having to pass through the smoking area. In that year, more than 130 freshmen signed a pledge not to smoke. Why is it necessary to Kick Butts? Almost one quarter of high school students report smoking in the last month (CDC, 2005). 3,900 teens under 18 start smoking each day. 1,500 of them will become regular smokers. Smokers who pick up the habit as teens have a harder time quitting later. One third of the 3,900 will die as a result. The tobacco industry targets teens to replace the thousands of smokers who die every day (one person every 6½ seconds worldwide). Teen smoking had been on a sharp decline since the mid-late 1990s, but recent data show adolescent smoking rates are holding steady or rising slightly. Across all racial and ethnic groups, as well as among males and females, there has been either a slowing or leveling off of the rate of decline, or a slight rise. Anti-smoking campaigns have been halted or cut back owing to lack of funds. What kind of anti-smoking messages work? and are sustained over months and years. Please thank and support the local vendors and organizations that have supported BHS Kick Butts Day, including Whole Foods, Boston School of Boabom, Healthworks, Inner Space Yoga, Naked Pizza, Pita Pits, REI and the American Lung Association of New England.